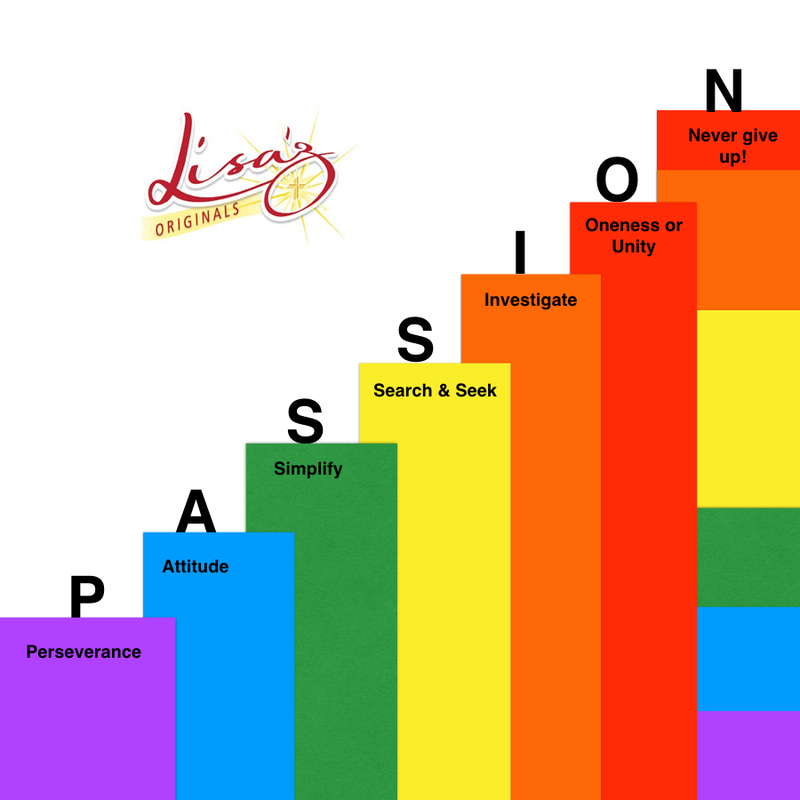 What does PASSION mean to you? Is it a deep rooted climb with each step, and you keep going no matter what obstacles you face? Can you continue to persevere when times are tough? Can you wear an attitude of gratitude each and everyday with true meaning? Can you simplify your business/life? Can you seek and connect with partners that share in your mission/purpose? Do you investigate when uncertainty is present? Are you creating unity in your business? Do you have the mindset to Never Give Up? 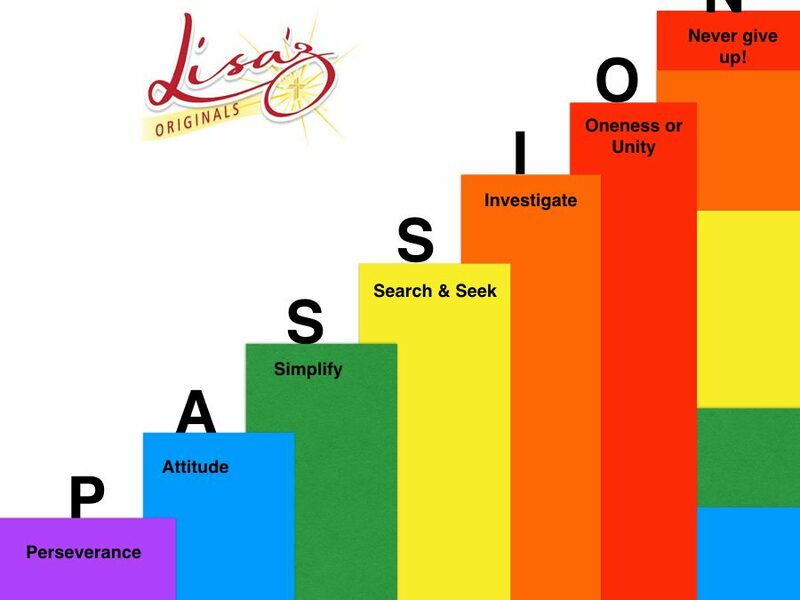 This is what Passion means to Lisa’z Originals and my team!